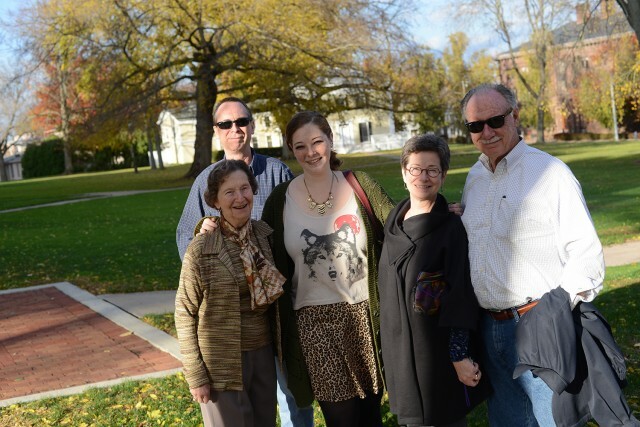 Students’ relatives and friends are invited to Family Weekend Sept. 27-28. 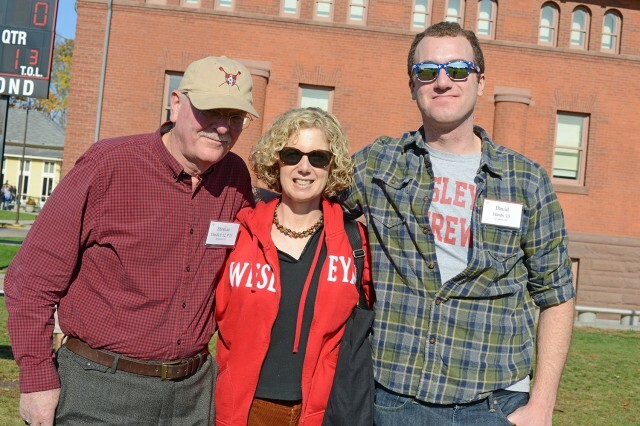 Registration is open through Sept. 12 for Family Weekend, Sept. 27-28, when Wesleyan families are invited to attend classes and WESeminars, take in concerts and sporting events, enjoy meals, tour campus and learn about student programs and services. Breaking from tradition, this year Family Weekend will be separate from Homecoming Weekend, because Homecoming occurs during Fall break. Register for Family Weekend here. Breaking from tradition, this year Family Weekend will be separate from Homecoming Weekend, because Homecoming occurs during Fall break. A full schedule of the weekend’s events is available here. Highlights include a South Indian vocal performance as part of the Navaratri Festival at the Center for the Arts; the 22nd annual Dwight L. Greene Symposium, featuring a movie screening and talkback with Bobbito “Kool Bob Love” Garcia ’88; student a capella concert; Friends of the Wesleyan Library book sale; tailgating; and WESeminars on a variety of topics including animal dignity and ethics of sight, writing at Wesleyan, and ending back pain. On Sept. 27, Craig Thomas ’97 and Carter Bays ’97, creators and writer-producers of the popular television series How I Met Your Mother, will speak about their experiences at Wesleyan, their work in TV, and HIMYM. A conversation in Memorial Chapel at 9 p.m. will be followed by a reception in Daniel Family Commons in Usdan University Center at 10 p.m. Attendance is free. Register here by Sept. 19; space is limited. Because many members of the Wesleyan community celebrate the Jewish New Year, which concludes at sundown on Friday, Sept. 26, most of the weekend’s events have been scheduled for Saturday and Sunday. In observance of Rosh Hashana, Rabbi David Leipziger Teva is planning special programs for Friday, including an Eco Tashlikh Walk to the Connecticut River at 4 p.m., as well as Shabbat services and dinner. Homecoming, scheduled for Oct. 18, will include Middletown Day activities in the Homecoming Spirit Tent, football vs. Amherst College, field hockey, men’s and women’s soccer vs. Amherst, volleyball vs. Bowdoin, and other athletic contests. For more information, see the Homecoming website. Read more in this past News @ Wesleyan article.